Are you looking to update the look and feel of your car? Or maybe you want a custom touch to your vehicle. Whatever the reasoning, wrapping is something that you should strongly consider doing to your vehicle. Instead of applying a new layer of paint, car wrapping allows you to get creative with car customization without ever having to commit to a single style or color. There is a wide range of textures, colors, materials, and graphics options that help you create a special touch to your vehicle. Read on to learn about the 4 advantages to car wrapping that you probably didn’t know before. Car manufacturers only ever use a few ranges of colors for vehicles. You will never find a pink Camaro or a bright purple BMW at a brand dealership. When you choose to wrap your car, the possibilities are endless. The only limit to what you want is your imagination. There’s matte, glossy, and even chrome finishes. Best of all we can ensure the color of your choice exactly matches your car before we even start the job—that’s something you can’t do with repainting! 2. Advertise for Your Business, Team or Anything! America is an automobile-centric society. No matter where you live, you probably spend at least thirty minutes in the car every day. And so does everyone else! That means your vehicle can be the perfect place to advertise your business, your favorite sports team or practically anything to a vast audience for little to no cost! 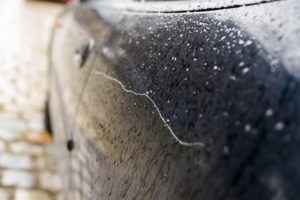 An older vehicle will always have scratches, water marks, and other types of faded marks. Instead of paying for a new paint job, refresh the look of your car with car wrapping. You will never be able to tell that the scratches are there and you can save yourself more money. Another added benefit to wrapping is that it protects your car from future scratches or small rock damage. Car wrapping is a luxury, however its also an investment. Customization is something that our team values for each client, and it is also great for preserving your vehicle’s value. If you have a high-end car, like a Lamborghini or a Roll-Royce, protecting its appearance both inside and out is a priority. 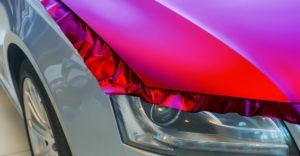 Wrapping keeps your paint brand-new, protecting it from the sun, rain, or other day-to-day driving hazards. Also, the wrap goes on in panels meaning that in the case of damage, you don’t have to replace the whole vehicle wrap. Whether you are looking to advertise your business, add your custom flare or protect your car from the elements, car wrapping gives you so many options to upgrade your vehicle. Contact us today to request a quote to see how we can help you get the car you’ve always wanted!